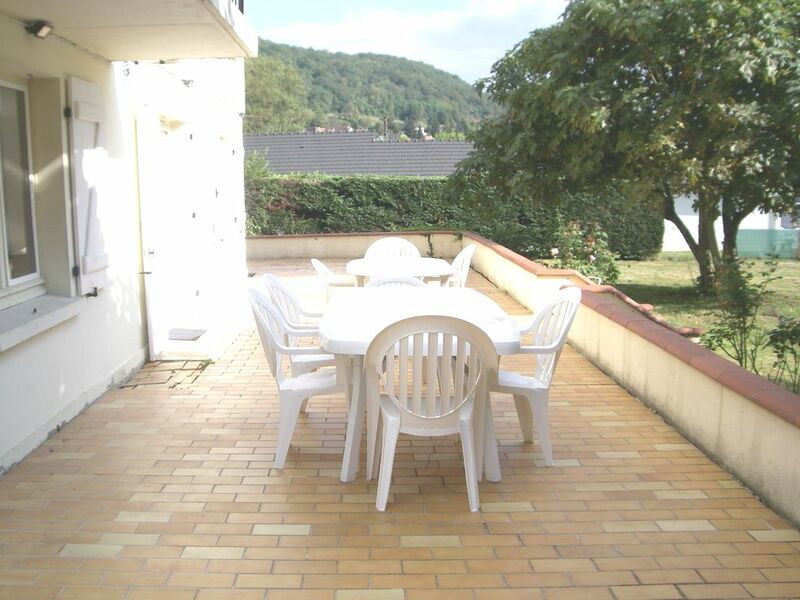 Stay 30 m ² with tele, wi-fi, chimney, access terrace of 50 m ². 1 bedroom 1 double bed, 1 bedroom 2 single beds, kitchen 16 m² fully equipped (sink 2 bins, cooking table 4 gas burners, dishwasher, washing machine, oven, microwave, fridge, table, 3 chairs 3 stools, cleaning required , iron and ironing board, double glazing. bathroom / shower, separate toilet, parking, table tennis, bike man, 1km from the center of Gan, grass garden of 1500 m².